Niki Mullin is an experienced publishing professional, with specific expertise and knowledge of business book and magazine publishing. 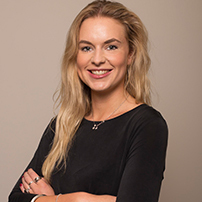 Niki has specific expertise in business development and sales; working with global brands and large blue chip organisations, managing companies and accounts such as Amdocs and Coca Cola. She also has experience of working within the events industry, working at both GDS International and IQPC, two of the leading global events companies. Today, Niki is Business Development Director at LID Publishing – the fifth largest publishing house for business books in Europe. Here, Niki works directly with industry leading organizations and best-selling authors to create and produce effective communication strategies through a variety of channels. This includes the management of the global commercial strategy for LID’s quarterly journal, Dialogue, which is produced for Duke University; the LID Speakers forum; and a new journal called Edge for the Institute of Leadership Management. Niki is always on the look for the best thought leaders and cutting edge research, across a number of disciplines to further grow LID Publishing’s very successful portfolio.Niki studied International Relations and Journalism at the University of the West of England, leading her into an early career of freelance writing and journalism having worked with the BBC, Bristol City Council and The Big Issue.